Several months ago, I found out that a friend is expecting a baby boy. 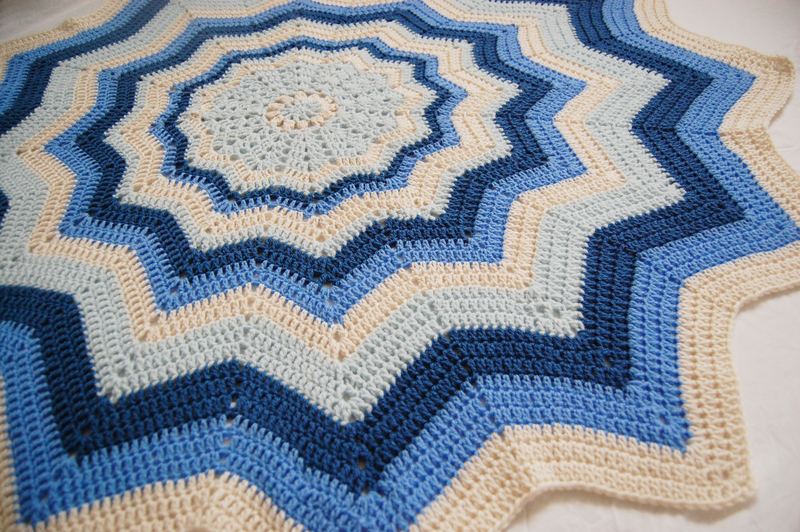 I decided this was the perfect opportunity to crochet a star blanket. It was a complete suprise, she did not have the slightest clue that I was crocheting it. Being such a regular social media user (particularly Instagram) it was very tempting to share my progress but I managed to resist as I didn’t want to ruin the suprise in any way! It was so worth it, as she sent me the loveliest message expressing her gratitude and sheer happiness about receiving it, which made it SO worthwhile. Now it’s been safely received, I am really happy to share the final result with you. 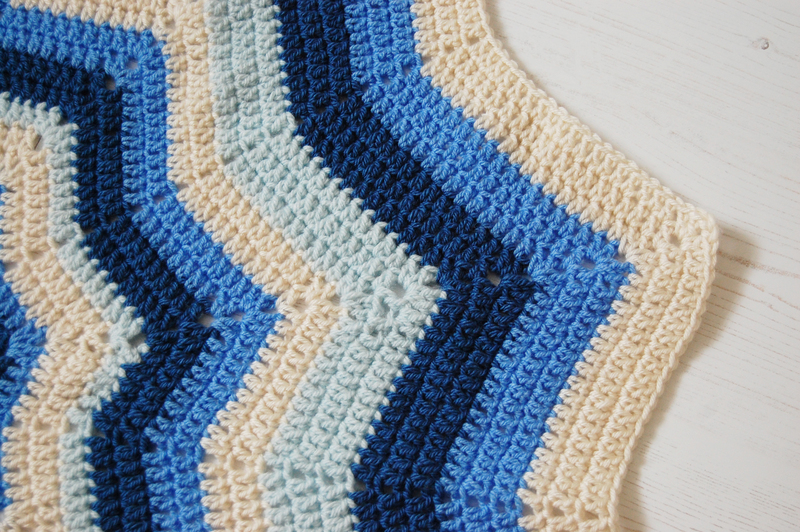 I used the Celeste Nursery Blanket pattern, written by Lynne Rowe. You can find this in Issue 47 of Inside Crochet Magazine. This issue is not available in stores any longer as it was published in 2013, but there are ways of downloading digital back issues. I used the ‘Pocketmags’ app on my iPhone and had no trouble with it at all (other apps available). 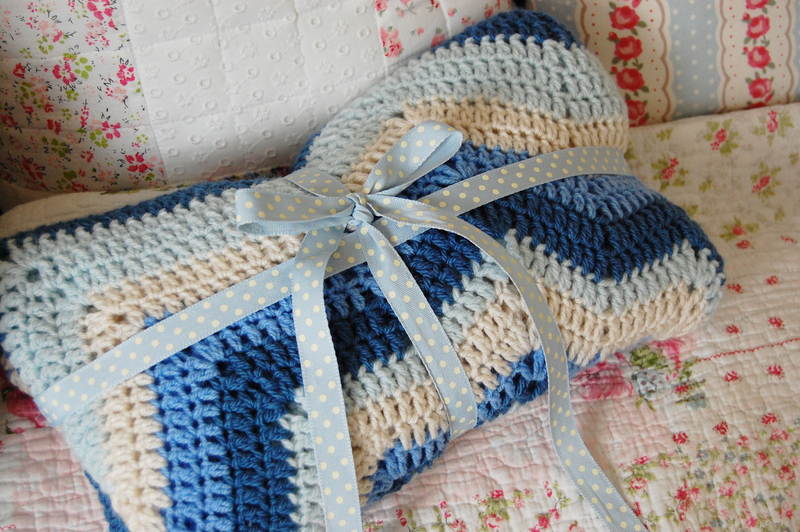 I decided to roll the blanket up and make a bow out of some lovely blue ribbon I had in my craft room. This seemed like the nicest way to present it. I then wrapped it in some blue tissue paper and enclosed one of my ‘with love greeting cards’ from my shop. Do you like it? It feels like a job very well done to me and I couldn’t have been happier with it! 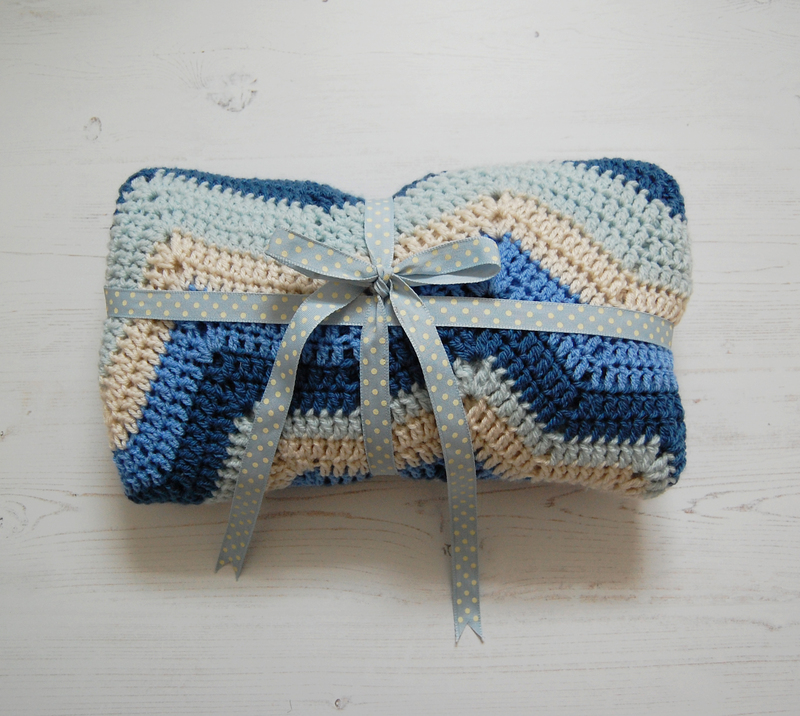 Do you have any crochet projects on your hook at the moment? 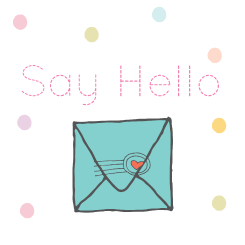 Feel free to comment below so I can see them, I love to see what my readers are up to! Hello! If you're looking for craft inspiration, you've come to the right place. 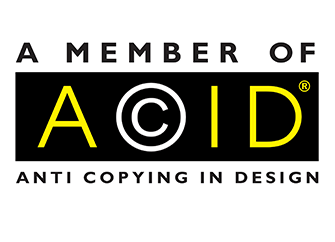 I'm Lauren, a self confessed craft addict with a passion for everything handmade. Here you'll find an array of tutorials, recipes and ideas all lovingly produced in my home studio in the beautiful Somerset countryside, UK. I hope you're ready to be inspired.